Helen Perdue Obituary - Beattyville, Kentucky | Newnam Funeral Home, Inc.
Helen J. Stamper Perdue, daughter of the late Bedford and Eva Golden Stacey Stamper was born in Beattyville, Kentucky on February 10, 1940 and departed this life in Hazard, Kentucky on March 18, 2019 at the age of 79 years, 1 month, and 8 days. 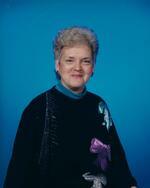 She was a retired Bookkeeper for Ferrell Gas Co. and a devoted member of the Beattyville Church of the Nazarene. She was one of eight kids, loved her grandchildren and great grandchildren very much, and enjoyed going to Cherokee, North Carolina because she loved the Native American Culture. She is survived by one son, Berl Perdue, Jr. and wife Tammy; one grandson, Kalan Perdue and wife Chelsey; one granddaughter, Britney Harper and husband Gary; four great grandchildren, Madden and Marlow Perdue, and Paxton and Presley Harper all of Winchester, Kentucky; two brothers, Michael Stamper and wife Brenda of Lexington, Kentucky and John Stamper and wife Perta of Germany; one sister, Betty Frye and husband Richard of Cincinnati, Ohio; and a host of other close relatives and friends. Helen was preceded in death by her parents; two brothers, Jim and Thomas Stamper; and two sisters, Ena Faye Gallagher and Forrest Isaacs.